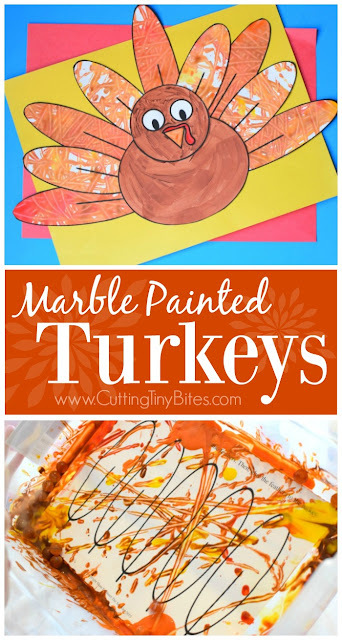 This Marble Painted Thanksgiving Turkey craft was loads of fun for my girls! They've loved making apples and pumpkins with this same technique, so naturally we tried out turkey feathers in beautiful fall colors. 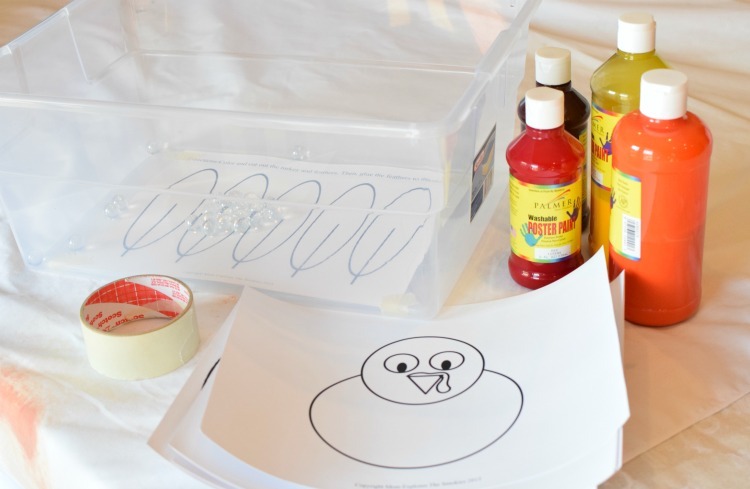 Your kids will also get some great fine motor work when they cut and glue the feathers. Here's how to make your own! Print a turkey template on sturdy cardstock. 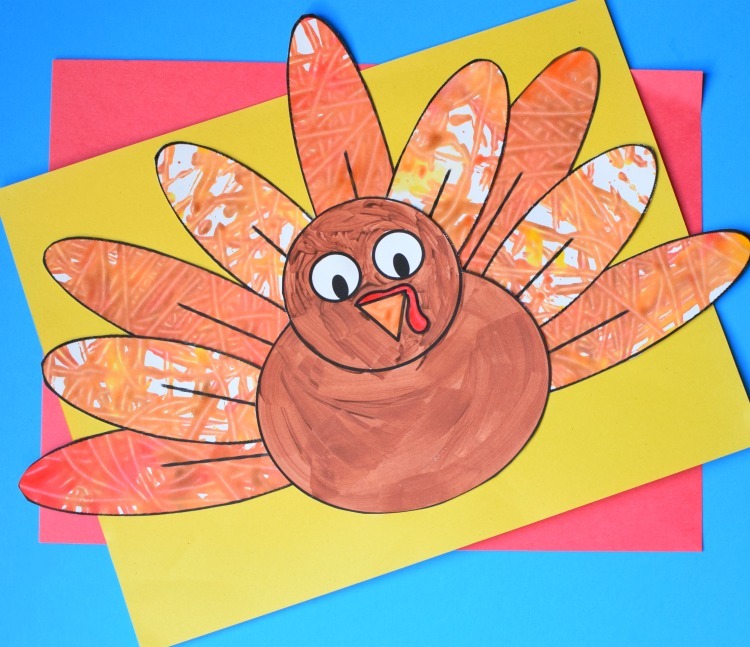 We used the "Scissor Skills" version of this turkey template from Mom Explores The Smokies. 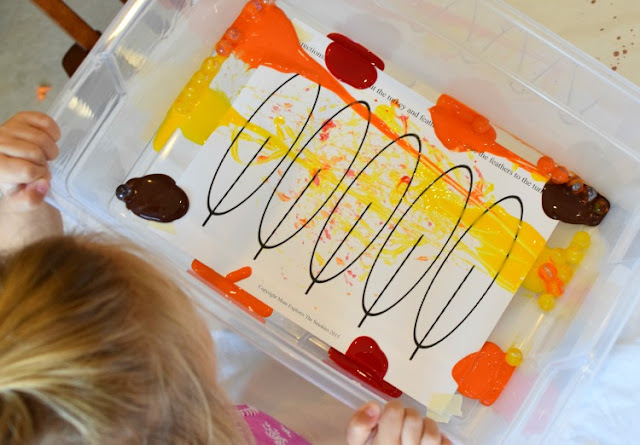 Put one of the feather pages into your box. Tape the corners. 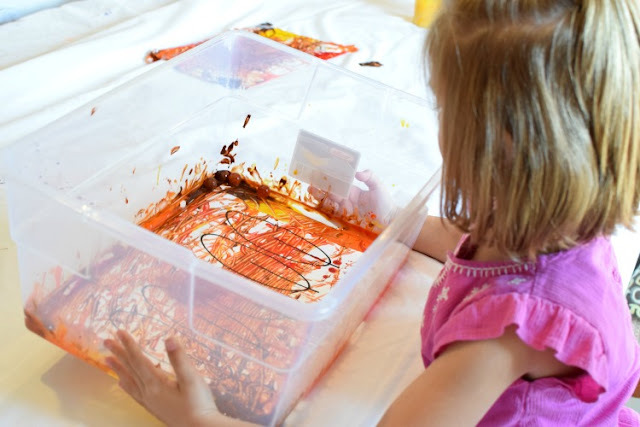 Squirt blobs of paint around the edges, and put 10-15 marbles in the box. Let your child begin to roll the marbles around in the box. 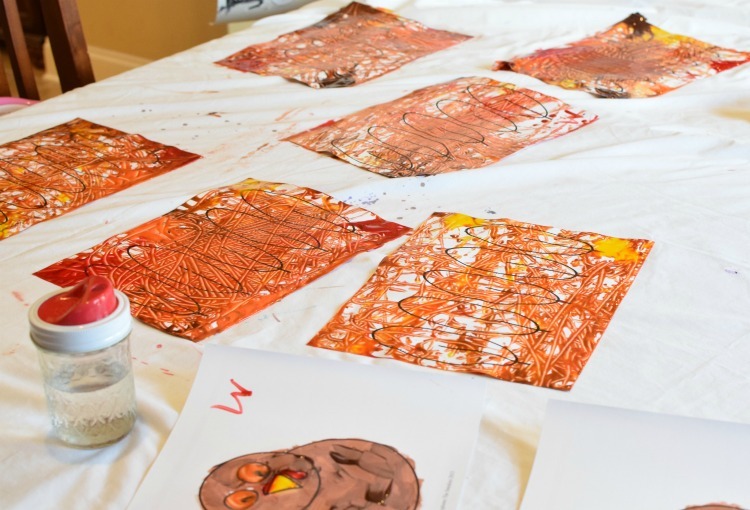 They'll pick up paint and slowly begin to cover the paper. Our box had a rim around the edge of the bottom of the box where the marbles kept getting stuck. 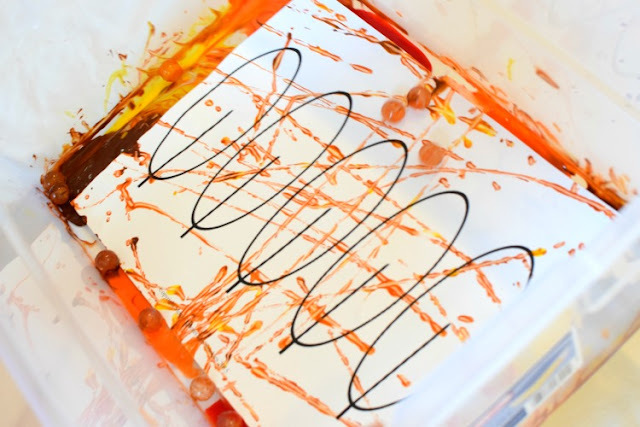 We just gave the box a shake to help the marbles hop out of the rim. You can also use a fork to get them rolling again. 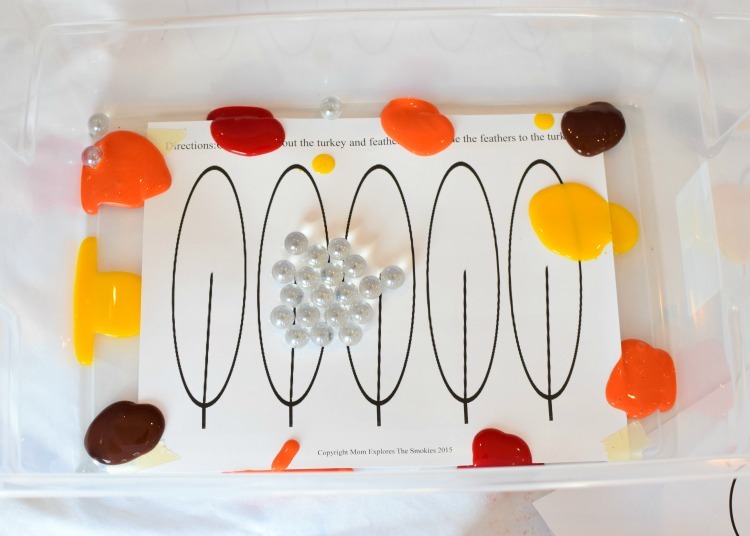 Keep shaking and rolling the marbles until your child is satisfied with the result. Don't overdo it- the colors will get muddled. Set the papers aside to dry. We found that after the first feather page, we didn't need to tape the corners- the wet paint was sufficient to hold the paper in place. Next it's time to paint the turkey. Once all the papers have dried, cut out the feathers and turkey. 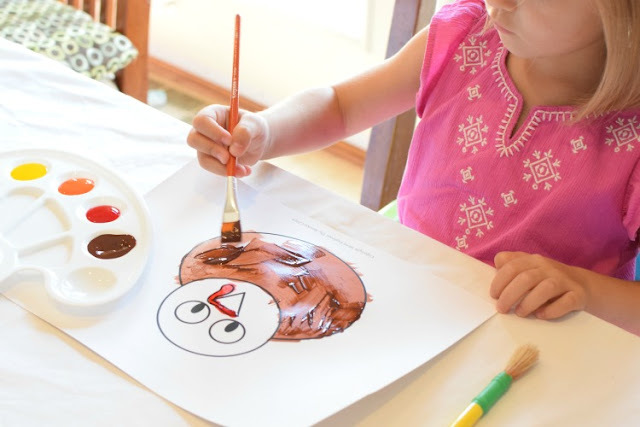 Glue all the pieces into place to make a fun Thanksgiving turkey! 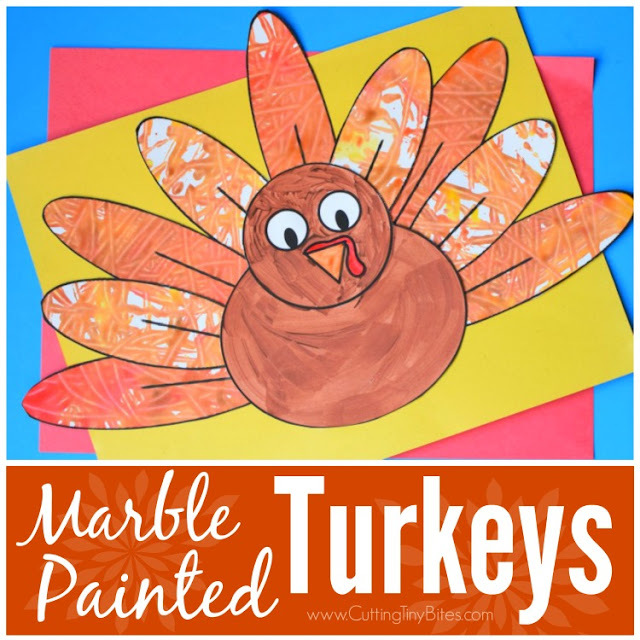 Marble Painted Turkey- Thanksgiving craft for kids. 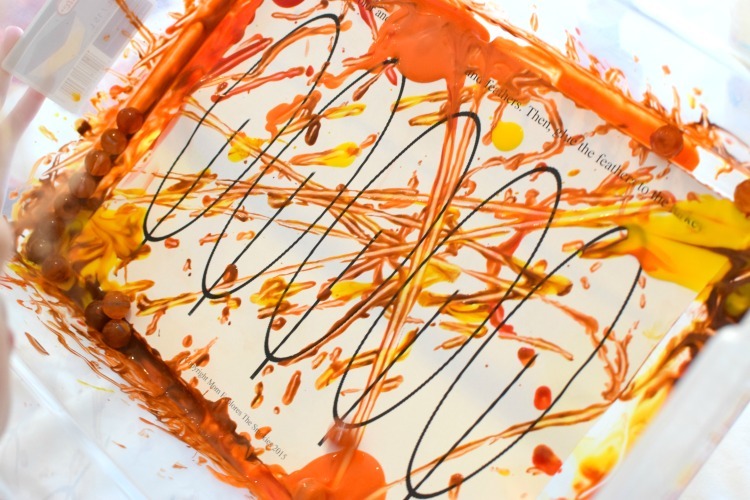 Paint feathers with this fun process art technique. Great for preschool, kindergarten, or elementary kids. 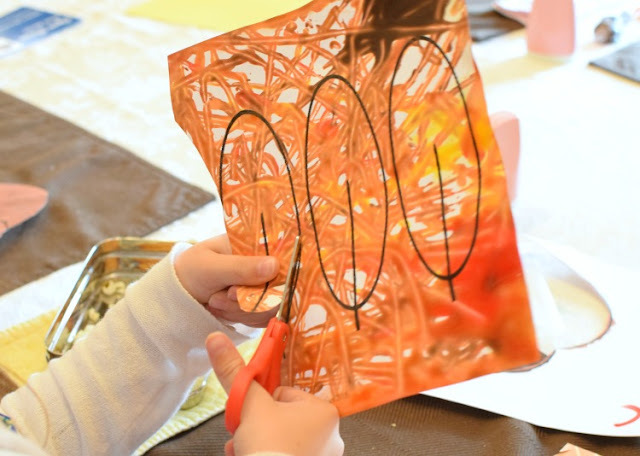 Cutting and gluing promotes fine motor skills!